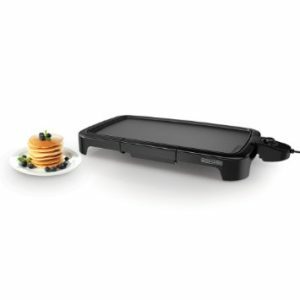 The black and decker family sized griddle has warming tray that ensures the already cooked food is in perfect warmth until all the food is prepared and is ready to be served. 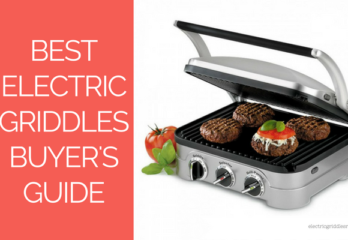 This way you don’t have to worry about heating the food again when it is time to serve. Cleaning this unit is not a problem. With the nonstick cooking surface and drip tray there is very less mess when cooking is finished. After the removal of heat control, the whole unit is submersible and also dishwasher safe for the cleaning. 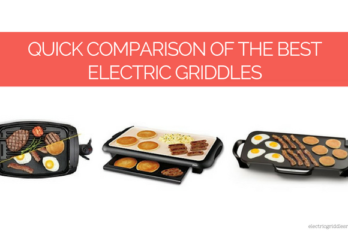 Only down point is that its drip tray is pretty small as compared to others, which needs you to constantly emptying the tray while cooking greasy foods. 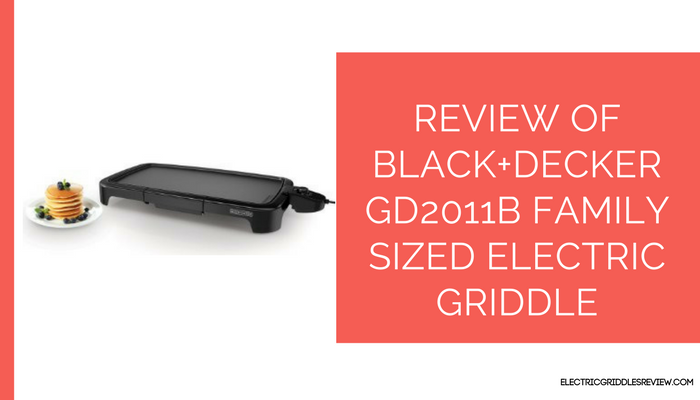 You might also want to check the review of Black and Decker Compact NONSTICK 3-In-1 Indoor Grill/Griddler & Waffle Maker.